Home » Association News » Ruby and Ebony find their family..
Ruby and Ebony find their family.. 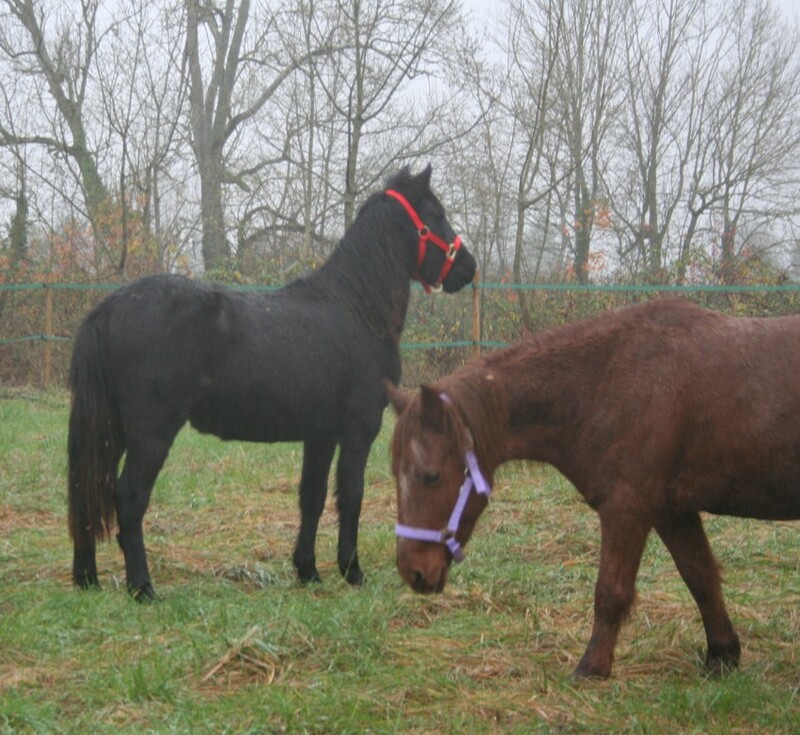 Wonderful news to report, Ruby and Ebony are now safely ensconced in their new home! I was a bit apprehensive about loading them as the last experience they had of that was the dealers from the market, but I’m so proud of them both, they marched straight on. Ruby was a bit upset to begin with as she was too weensie to see that Ebony was on the other side, but she settled down, and they both had a haynet each for the journey. What a far cry from the wee scared and wild souls that arrived here in April. 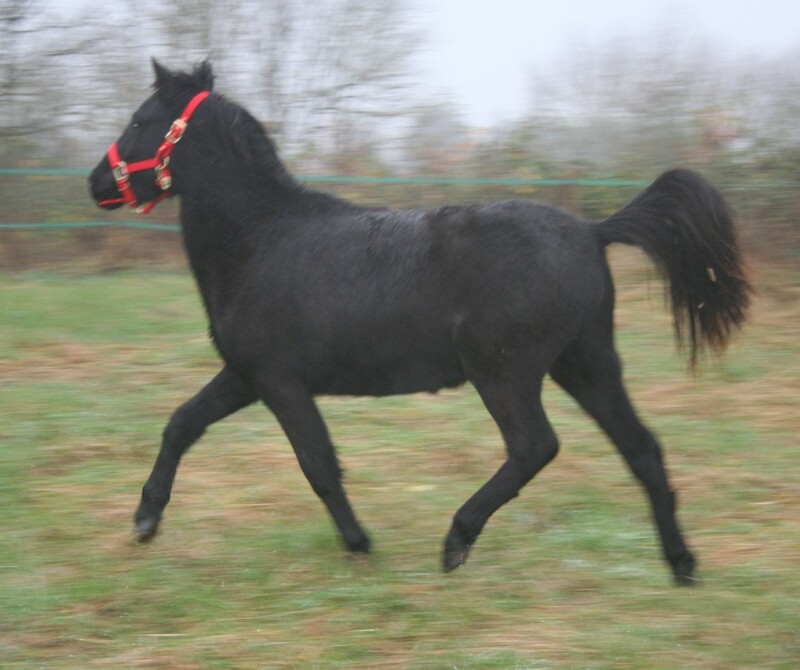 I went ahead in the car to their new home as I wanted to be there when they arrived. When the lorry pulled in, and we took them off they were quite bemused, and a bit clingy to me. 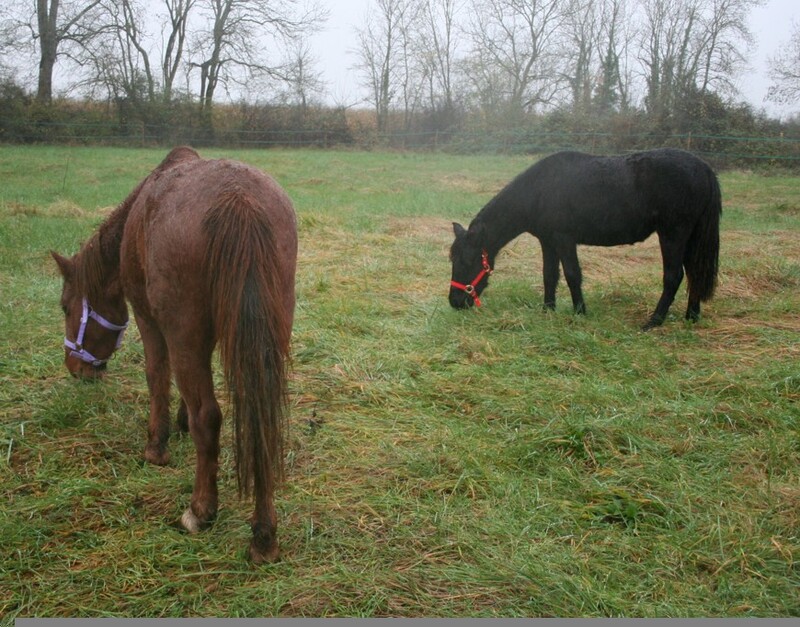 That soon wore off when they spotted the grass in their new paddock, and went trotting off without a care in the world. Ebony was very excited and had to run round inspecting everything, whereas Ruby was far more impressed with the grass and would barely lift her head up! 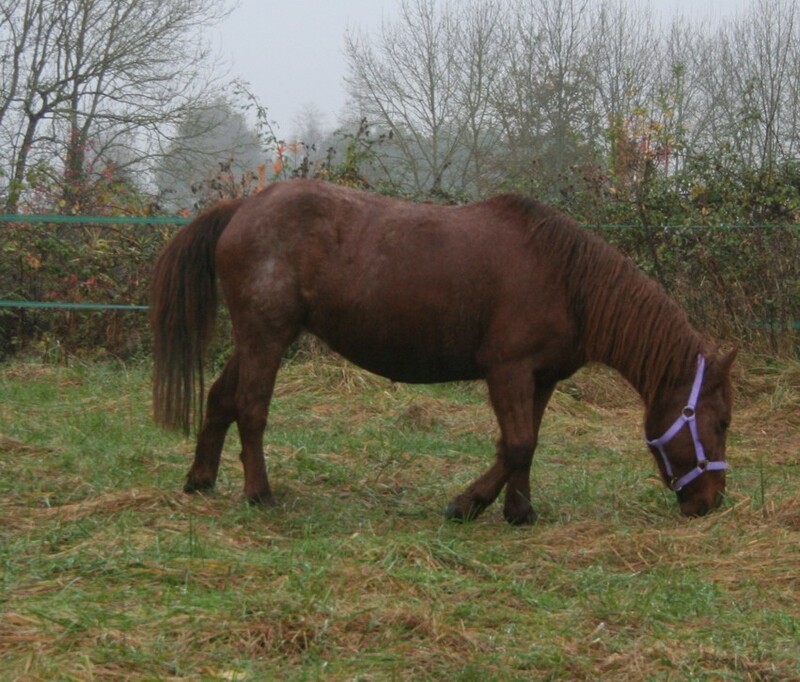 Ebony did settle down finally, and joined her mum to graze. A multitude of carrots ensured an instant rapport with the new family, and a cursory inspection of their new field shelter seemed to meet with approval, although eating more grass took precedence once they’d established it didn’t contain food! It was strange and sad for me this morning going out to feed my horses and not hearing their little high-pitched whinnies telling me it’s time for their breakfast too, and I am going to miss their cheeky personalities. However, they’re safe for the future in a lovely home with a great family who understand what they have been through. So all is well, and we’ll keep you up to date with any progress.